If Ford Can Embrace Chaos - What's Your Excuse? If Ford Can Embrace Chaos – What’s Your Excuse? Much excitement today as Ford officially unleashes the Fiesta Movement project. 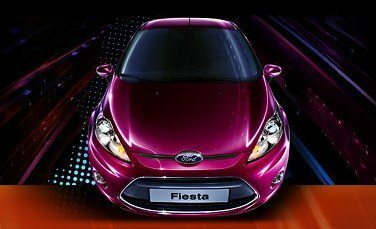 To market the Fiesta’s introduction to North America, Ford selected 100 “Agents” from 4,000 applicants. 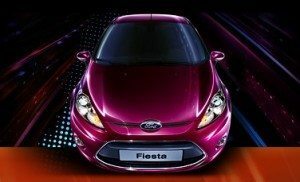 The winners receive use of a Fiesta for six months, provided they create and post comments about their impressions of the vehicle, and participate in “Missions” Ford has cooked up for them. Other than this social media content (which is likely to tilt heavily toward video, as many of the Agents have decent followings on YouTube already), the Fiesta is receiving little other marketing support. Essentially, Ford has outsourced its marketing to consumers (and therefore to people like me who will write about it). Seriously? Ford, is a giant company in uncertain times, yet they are trusting the launch of a major new vehicle to the vagaries of user generated content? This isn’t a Skittles experiment with putting Twitter on the home page, or even Vitamin Water driving TV commercial viewers to their Facebook page. This is something else. Bigger. Riskier. I predict that the Fiesta Movement will be looked back upon as the event that made social media a real player in the marketing mix. When corporations began to not just realize, but act upon, the fact that companies today garner the customers they deserve, not the customers they buy via advertising. (paraphrased from Brian Solis‘ excellent new book). Ford is embracing the chaos that may (and probably will) ensue as part of this initiative. Ford is not controlling the content created by the Agents. It’s a no-censorship policy. Content from the Agents about Fiesta is aggregated nicely on the Fiesta Movement site, and of course also appears in Agents’ own social media outposts. I like this aggregation model a lot, and foresee companies moving toward this as a curated, crowd-sourced newsroom in the future. In my consulting travels, I hear from many companies (and agencies) that they just aren’t willing to engage publicly with consumers that may have a negative opinion of their products or services. To which I say, unless you’re in a highly regulated medical or financial environment, you HAVE to get involved eventually. (Jason Baer): Do you feel that Ford is more aggressive than other major corporations in understanding the power of UGC, or just less scared of UGC? (Scott Monty): We understand that conversations occur all the time – that’s the very nature of the auto industry: people have always had car stories. We’re committed to being part of those conversations, either by engaging directly, or making them possible. (Jason Baer): How did you try to find strong agents across multiple social media outposts? Or did you? Was there a specific effort to find folks that were socially influential on Twitter, Facebook, LinkedIn, etc? 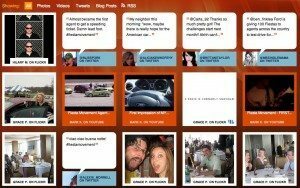 (Scott Monty): This was an extremely complex process to manage – not only did we have a lot of great videos to choose from, but we also wanted to have people that were influential in their own social networks, geographically dispersed, split between male & female, some automotive enthusiasts, etc. Oh, and then there were the background checks… 😉 It made for an intense screening and selection process. (Jason Baer): I saw you mention the Forrester social technographics ladder in your interview with Allen Stern. No question the younger cohort is more likely to create video. But, how do you connect Spectators and Critics to these Creators? Or, do you figure they already have an audience, so it’s not Ford’s job to drive eyeballs to the Fiesta content? (Scott Monty): The creators will already have a built-in audience, but beyond that, we’re posting their content across a variety of our platforms (Facebook, Twitter, Flickr and YouTube), as well as aggregating them on www.fiestamovement.com and www.thefordstory.com. Between all of those, we should see lot of the different cohorts consuming the content. (Jason Baer): What, if any, expectations do you have for agents to engage in dialogue with the audience? I expect some of this content will generate more comments then they are accustomed to receiving on their usual work. (Scott Monty): Absolutely, and we want them to do so. Where necessary, we’ll pop in and offer any expertise we can when called for, but this is largely going to be up to the agents to participate. (Jason Baer): You mentioned that the factories are not finished for the North American Fiesta. Thus, do you see this as a living focus group, or a user-generated marketing program (like Doritos), or both? (Scott Monty): This is both. We’re obviously trying to get some buzz going specifically for the Fiesta, as well as for Ford. But we’re also going to be sending the agents surveys, asking them questions, and getting their feedback on how the vehicle works for them. Our engineering team and our marketing teams will be learning from them along the way and making tweaks based on their input. (NOTE: This is a huge point. Ford understands that negative comments aren’t a problem, they are an opportunity. Social media is the ultimate canary in the coal mine). (Jason Baer): I know you have some sort of dashboard put together to measure effectiveness of this program. How are you looking at ROI? (Scott Monty): Certainly the usual notion of number of posts/photos/videos/tweets, comments, sentimentality, etc. But beyond that, we’ll be watching how this unfolds and we’ll be measuring accordingly. It’s going to be a pretty fluid campaign and we’ll be looking to learn and adapt along the way. You can take the big step and help your company truly embrace social media. First, you need to change internal thinking around negative consumer comments. It’s not a risk, it’s an opportunity. Plus, it’s inevitable. People are talking smack about your brand whether you’re engaged or not. Second, YOU need to be Scott Monty. If you believe in social media enough to read this blog, YOU need to be the one to champion it in your organization. YOU need to stick your neck out, take ownership, and make it happen. If Ford (not exactly the most historically nimble organization on the planet) can put this many chips behind social media, what’s your excuse for not doing so yourself?